WarDucks is a leading game development studio in the augmented and virtual reality space. With one of the most talented teams in the industry, we are releasing fun and immersive games across various leading augmented and virtual reality platforms. We have launched six best selling titles across mobile, desktop and console platforms. We have an exciting game (unannounced) in the pipeline that we are looking forward to sharing with you! Contact us to learn more! Travel to Asgard on the rainbow Bifröst before flying through the home of the Elves in Alfheim. Descend into Helheim, home of the dead, and zip through the cold winter weather of Niflheim while on a high-speed rollercoaster chase after the thief of Thor’s hammer, Loki. Transport yourself to the land of Greek mythology on a rollercoaster ride you’ll never forget. Speed off on an eight-minute rollercoaster journey only possible in virtual reality. Visit the Temple of Poseidon, the River Styx, Tartarus, and the Palace of Hades, by zipping up and down daring drops and twists while sitting on your couch. Frank, a twisted teddy bear mastermind, has taken over a toy factory and has created an army of evil teddy bears to help with his quest to take over the world. Frank is sarcastic, cunning, and ruthless, and he has made his army of teddy bear minions in his own image. They may look cute, but they are anything but cuddly! 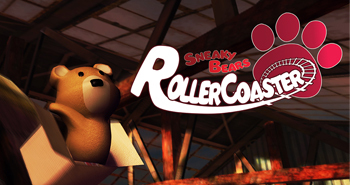 The sneaky bears are back in an epic roller coaster experience. Sneaky Bears RollerCoaster caters for the needs of everyone. For those that aren’t normally a fan, there is a somewhat relaxed ride through the Sneaky Bears’ factory. People that like a bit more excitement can enjoy a quicker pace, while the adrenaline junkies can expect something totally insane. We’re a one of a kind team, bursting with talent and creativity. Give us any project and we’ll conquer it. With 6 best selling VR apps under our belt and 2 top 10 games on PlayStation VR we’re taking on these new technologies by storm. And having some fun along the way. All in all, [Sneaky Bears is] one of the best wave-based shooters on PSVR and definitely worth a look! 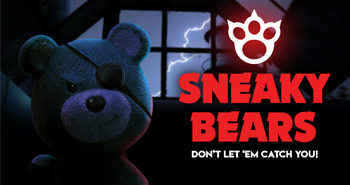 At its core, Sneaky Bears VR is a wave-based shooter, but that doesn’t account for the excellent writing and genuinely funny premise! I enjoyed the minutes it took to play through [Sneaky Bears RollerCoaster] and this is now at the top my list of quick VR apps to show off to friends and family! 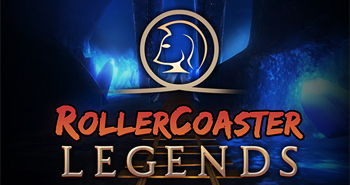 I am happy to say that going on Warducks’s RollerCoaster Legends for the PlayStation VR was a treat in itself that I will be happy to ride through again. All these environments are simply amazing. The graphics are very well made and you can also really feel the Greek theme in everything. 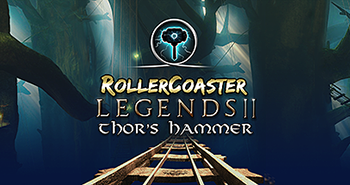 [RollerCoaster Legends II: Thor's Hammer is] a rush much like one would feel after having just stepped off an actual coaster. The sheer scale of the world and the creativity of the sights you encounter kept me impressed throughout [RollerCoaster Legends II: Thor's Hammer].